Lehman College has announced that Dr. William W. Latimer has been named founding dean of the School of Health Sciences, Human Services, and Nursing. Dr. Latimer comes to the Bronx after serving as the Elizabeth Faulk Professor and Chair of the Department of Clinical and Health Psychology in the College of Public Health and Health Professions at the University of Florida. Lehman College’s new School of Health Sciences, Human Services, and Nursing consolidates under one academic roof several departments – Health Sciences; Nursing; Social Work; and Speech, Language, and Hearing Sciences. “I feel deeply honored and very fortunate to be the inaugural dean of this new School at Lehman College and have the opportunity to lead an exceptional group of faculty, students, and staff,” said Dr. Latimer. He will begin in his new post on September 2, 2014. Dr. Latimer’s program of research has been published extensively and continuously funded by the National Institutes of Health (NIH) for the past 20 years. He has secured more than $25 million in NIH funding to study the epidemiology, prevention, and treatment of infectious disease and drug dependence, with a focus on neurobehavioral risk factors of disease, treatment engagement, and outcome. 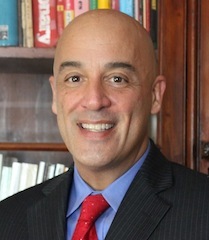 He previously spent 11 years on the faculty at the Johns Hopkins Bloomberg School of Public Health where he directed two large training programs for U.S. and international fellows in public health and allied health professions funded by the NIH and the U.S. State Department, respectively. Dr. Latimer also serves as producer and host of public radio WUFT’s Public Health Minute, which airs throughout northern and central Florida. It focuses on research findings and practical health advice provided by top researchers and clinicians in allied and public health. Dr. Latimer also directs two large clinical trials to prevent infectious disease and treat addiction in Baltimore, Maryland and Pretoria, South Africa. Health and wellness is one of the fastest-growing sectors of the U.S. economy and has become a big concern in the Bronx, where residents face challenges like few other communities – poverty, high-risk schools, the lack of medical care, a shortage of nutritious food, and more. Working with community partners, Dr. Latimer and the School will take a leading role in confronting these problems. Nursing and social work are already two of Lehman College’s most popular majors. The launch of new School is a case of perfect timing for the Bronx, New York City, and the nation, says Dr. Latimer.